Duck for cover: an atom bomb of sweet, sweet cuteness is about to explode all over your screen. This is not a drill. But pugs are coming up strong, I mean...look at that face. Only one thing can happen if you put these two forces together....LOVE! MAGIC! FIREWORKS! INTERNET IMPLOSION?? 1. 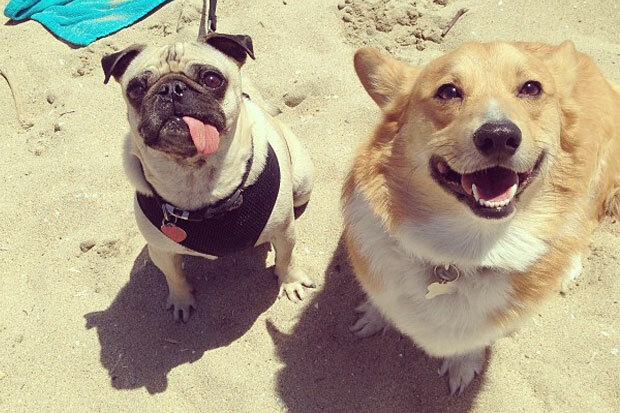 Well, our wishes have been answered, and when a corgi met a pug, the WORLD CHANGED. 3. LOOK AT THIS BEAUTIFUL FRIENDSHIP BETWEEN THE WORLD'S MOST MAJESTIC OF CREATURES. 4. 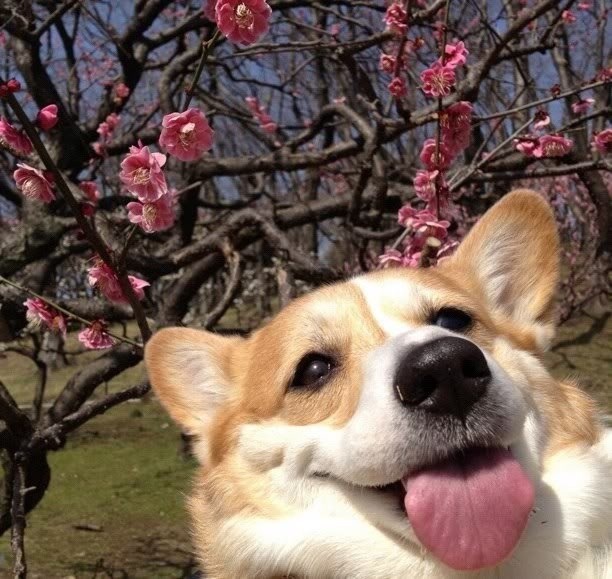 What's better than a corgi nap? A pug nap? 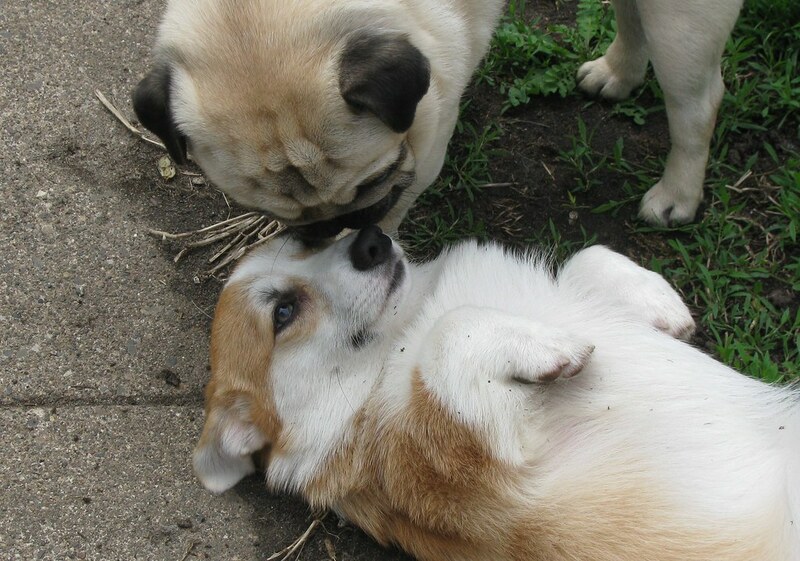 HOW ABOUT A CORGI-PUG SPOONING SESH. 5. The magnitude of what is happening here...I just. I can't. Where does one begin and the other end? 6. How was it even ALLOWED for them to ever be apart?? 7. We should all be thankful that this kind of beauty exists in the world. I'm serious, BOW DOWN. 8. They don't take their magic too seriously because they are amazing and HAVE NOTHING TO PROVE TO YOU. 9. 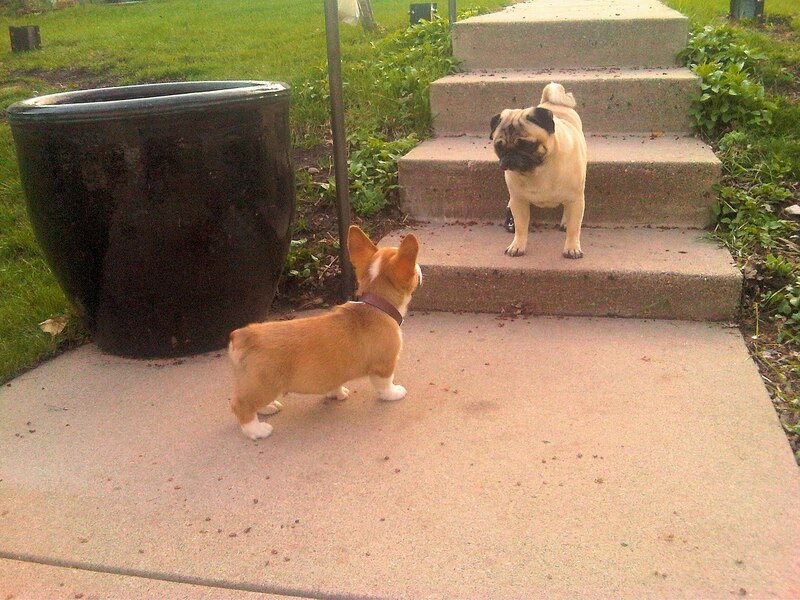 Bask in the glory that is a corgi leading pugs into the FUTURE OF THE INTERNET. 10. Ah, and they share tender kisses and it is beautiful and OMG IS THIS THE PEAK OF THE INTERNET BECAUSE I THINK IT IS. 11. This is what happens when they kiss too much...maybe they should stick to being friends? EITHER WAY IT'S STILL MAGICAL, OK? 12. Let's get back to the basics. Because this is an explosion of cute and I'm going weak in the knees. WEAK. 13. This basset hound is devastated 'cause this is the most blessed he will ever be. And he hasn't even met Oprah yet. 14. Brand? They don't even need to be concerned with it. THEY ARE ALL BRANDS. 15. The corgi stoicism can balance out the pug insanity and all is right in the world, everything is at an equilibrium, and we are blessed. 16. WAIT. 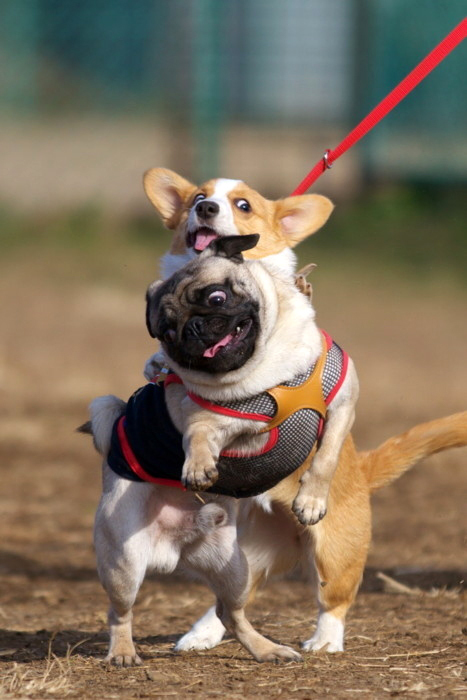 There are some corgi/pug BFFs who are also skilled sailors?? I think the internet is about to melt soon. Seriously, proceed with caution. 17. THEY SHOULD CALL THEM LANCE BASS AND JOEY FATONE BECAUSE THEY ARE SO N'SYNC! 18. MORE NAPS? I CAN PHYSICALLY FEEL MY HEART MELTING INSIDE MY RIB CAGE. 21. It was worth it.